With dreams of becoming a composer and someday writing a song for her favorite idol, Haruka enters the Saotome Academy, a prestigious performing arts school. If successful there, she’ll be able to join the Shining Agency after graduation. However, it won’t be so easy when Haruka is already surrounded by potential idols and composers. On top of that, her homeroom teacher is a current idol, the headmaster was a record-breaking singer, and the academy itself is a chaotic place where anything can happen. Which prince of song will be paired up with Haruka?! 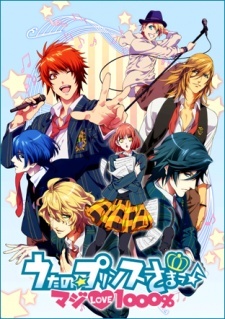 Uta no Prince Sama is an exciting, coming-of-age romantic comedy that will be like sweet music to your eyes and ears!